James Kirwan graduated with an honours degree in Fine Art from NCAD in 2005. Since then he has been a part of two person, three person and group shows mostly in Dublin. He has held solo exhibitions in Monster Truck Gallery and Eight Gallery. James has recently lived and worked in Westport, County Mayo and from there moved to Porto in Portugal to do an artist residency. He currently lives and works in Dublin. James’ work represents wanderlust, exploration, curiosity, voyages – be it desires to actually travel or by doing so in my mind. He is fascinated by the transcendence of ego and the many ways in which we try to do so on a daily basis. His paintings can include recognizable things such as buildings, figures or landscapes but presented in a fictional abstract world. 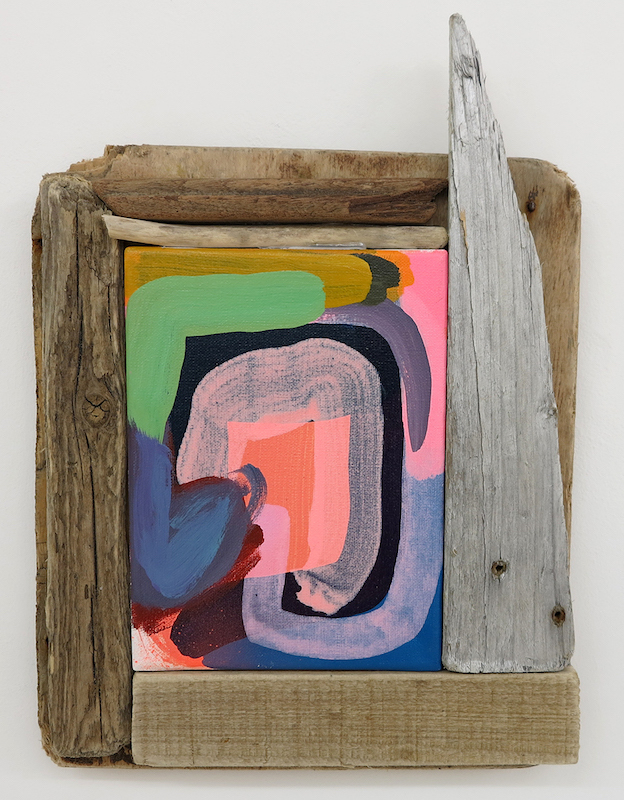 He works on many pieces at once and often returns to old work that has been dormant for a while, created from found objects and images, colour combinations and discoveries while exercising playful experimentations.